Look through the photos below to see what our true brick paving capabilities are. We can build you a complete patio or design and install an awesome addition if you already have one. Our team of brick pavers is readier than ever to take on your upcoming project in Fenton, Michigan. We have many years of experience working with all sorts of different materials and we can build nearly any type of structure that you could possibly want. 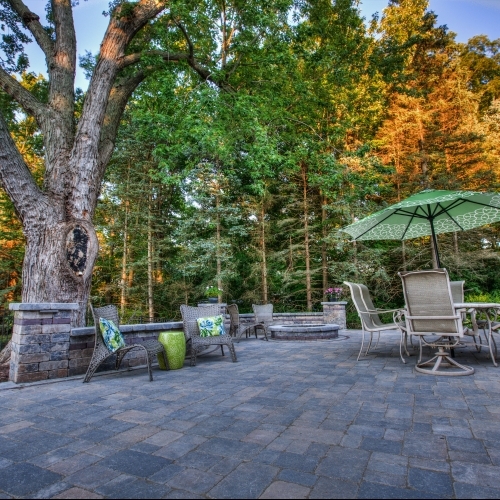 From awesome fireplaces to kitchens and grills, we really do know how to improve your outdoor living space. Our company has been doing this for properties in the Fenton area for decades and we are always excited to work with new customers. Request a quote online or give us a call today and one of our staff members will be able to talk with you about your upcoming brick paver project. We can help you figure out exactly what you want us to build, what kinds of materials we should use, and a budget and timeline for your project.